Let’s take a look at these Danner Men’s 28015 Black Kinetic 6 Inch GTX Waterproof Boots, shall we? You want agility? Check. They have kinetic multidirectional low lug outsoles that provide you with superior surface contact and traction. They’re the perfect so ... (see full details) (see specifications) #DNN28015. Let’s take a look at these Danner Men’s 28015 Black Kinetic 6 Inch GTX Waterproof Boots, shall we? You want agility? Check. They have kinetic multidirectional low lug outsoles that provide you with superior surface contact and traction. They’re the perfect soles for when sudden acceleration from a resting position is needed. Sound good so far? Let’s keep going. If you’re looking for a waterproof barrier within your men’s boots, these are just for you. They come with 100% waterproof and breathable GORE-TEX liners that are engineered to keep your feet dry and comfortable all day long. Seeking lightweight boots? Not a problem. These 6-inch black boots weigh just 50 ounces, and their rugged uppers are manufactured with both full-grain leather and RipStop ballistic nylon. The nylon is lightweight and also adds abrasion-resistance, as does the tough leather. The leather of these men's shoes can be polished very easily, so it’s preferred by those in uniform and on special tactical teams, especially due to its durability and how quickly you can get them ready for action. Nylon shanks are also within this Kinetic footwear to give your arches reinforcement whenever you need it. In addition these leather boots have a whole lot of comfort, too. Soft polyurethane footbeds give you the ultimate step-in and all-day comfort. You’ll have deeply cushioned midsoles to give you long-lasting softness and support, both at the same time. These Danner Kinetics are available in extended sizes for women and those with smaller feet. If that’s not comforting to know, we don’t know what else is…give a big sigh of relief if you were worried about footwear sizes! We’ve quickly recapped what these Danner Men’s 28015 Black Kinetic 6 Inch GTX Waterproof Slip-Resistant Boots have to offer you. They’re ready for anything, and they’re right here at Working Person’s Store. Order yours today! 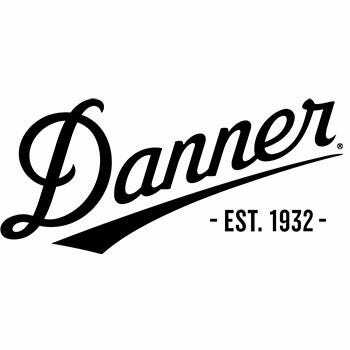 Danner Boots: Men's 28015 Waterproof Black Kinetic 6 Inch Work Boots is being added to your cart.